Have you just been offered a position in Germany? Our guides offer a complete overview of what to expect, the tips and preparation for your assignment. Many challenges, starting with the language barrier, can be overcome with the right preparation and a little bit of preliminary work. Let us guide you there. Germany’s lifestyle comes close to the American way of life, as both nations share the same passion for a high quality of living, education, architecture, shopping, nightlife and tip top cars. Life in Germany is safe and stable, just like in the US. The historic fall of the Berlin Wall in 1989 led Germany to be one of the most stable and prosperous countries in the European Union. It holds the reputation as being a highly influential nation in the international community and possesses the fourth largest economy by Gross Domestic Product. Germany is one of the founders of the European Union that was established in 1993. To this day, its rise to power is unstoppable with the help of several leading industries such as the automobile, machinery, manufacturing as well as technology and software. Expats who will relocate to this robust nation are about to experience a high quality of living, reliable universal health care system and globally competitive standard of education. Here are some valuable tips that can help every aspiring foreign national to join the 70 million expatriates who are already enjoying life in Germany. Citizens from non-EU states are required to secure a permit/visa before relocating to Germany. Expats must be aware that some permits must be obtained in their home country so they should prepare ahead of time for the processing time in the consulate can take a couple of days or weeks. One example of a visa for Germany is the temporary residence permit which is valid for five years and can be used for education, humanitarian, gainful employment or family-related purposes. This type of permit also serves as a work visa and the general processing fee is €60. 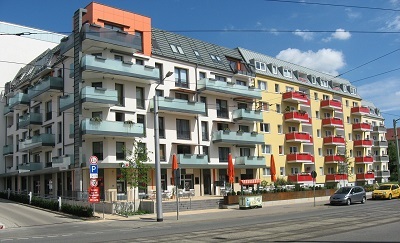 Kaltmiete (cold rent) where the cost of utilities should be shouldered by the tenant. Warmmiete (warm rent) which normally includes cleaning services, garbage collection and in lucky situations even the electricity and heating. The US dollars is considered as the universal money and is widely accepted in Germany. However, for a more convenient transaction, it is still best for expats to bring Euro which is the country’s official currency. Expats can exchange their dollars to Euros at any bank or money counter in the terminal of their countries of origin’s airport before boarding where they will be charged a conversion fee. Keep in mind though that its best to bring only a substantial amount of cash (Euro) upon arrival to Germany, just enough to cover the taxi metre rate going to their hotel/accommodation or city centre. Once settled, expats can always go to any local bank where they can convert a larger sum of their money. Not only do American expats have the same fondness for Germany as they do in France and Italy, but the US government also has strong ties with the Germans. Germany's government, a parliamentary federalist republic, has a socialist inclination. German government lends a hand to make businesses grow and operate within its borders, in the EU (European Union) and throughout the world. Also, many big players in the business world have offices in Germany due to its thriving economy, especially in the manufacturing, engineering and banking industries. Tourists have an easy time staying inside Germany's borders and may eventually become long-term expats, happy to learn that Germans are not uptight and without a sense of humour, especially the younger generation. Forget the clichés that Germans are sticklers for punctuality and thoroughness, it's true to a certain extent, but it's a part of their excellent work ethics. Make it a rule never to be late for an appointment. 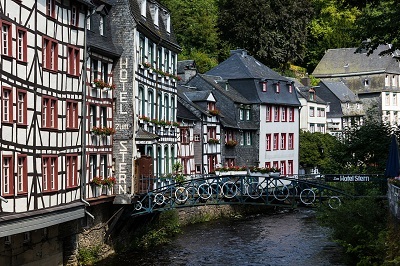 High tax rates in Germany can initially be a shock for those moving there, but the high taxes are in line with the premium salaries offered in Germany. The highest tax rate for individual income tax is 44.3 percent. The top corporate tax rate is much lower at 25 percent. Other taxes include a value-added tax (VAT) and trade tax. Register with the local authorities within three months of your arrival. It is highly recommended to make the registration a top priority, as the bureaucratic process is time-consuming. You need to present official documents such as your birth certificate and marriage certificate, among others, during registration; often these materials require German translation. If your employer paid your relocation costs, make sure the rental contract is in the company's name to the deposit, and the end of contract formalities are then the responsibility of the company. If you sign the rental agreement, undertake an extensive inspection of the accommodation and note any issues in the contract. To secure accommodation, a deposit of up to three months rent is usually required. The deposit goes into an individual bank account that requires signatures from the landlord and the tenant. Sometimes you may have to pay an agency (Makler) fee of up to two months' rent. With their love for cars, it follows that the road network in Germany is excellent, but the public transportation (tube, tram and buses) is also superb. However, the country is plagued by severe parking problems, as space in Germany is scarce and expensive. German cities favour and encourage cycling with purpose built bicycle lanes. Shipping goods to Germany takes more preparation than what other countries may require. For expats importing goods from home, among the documents required are a copy of the shipper's passport, visa and work permit, along with an inventory of the items shipped, a signed declaration stating all items are personal belongings and are not any of the goods restricted by customs, three copies of the German Customs Form 0350 (Zollantrag) stating none of the shipped items will be sold in a span of one year and a health certificate. For new items which fall under the restricted or dutiable category, a receipt will be required. For alcoholic beverages, a declaration stating the details of the beverage is to be supplied, along with other goods such as tobacco, tea, coffee, perfumes and the like. For electronic items, the receipt and serial number should be presented. Guns should have a license, and the passport of the owner should be presented (duty-free if a firearm has been owned for at least six months before import) as well as an application for a German ownership permit for the owner and an inventory indicating the model, calibre and serial number. Expats should know that when relocating to Germany, the highly restricted items constitute a long list that includes explosives, ammunition, drugs and narcotics, protected animals or species or any item of historical significance such as leopard fur, and pornographic materials. Grape juice, wine and many other types of beverages and foodstuff may be allowed for import, but not in large amounts. The list of required documents is longer, and it is wise to visit the official German customs website to avoid missing anything. Germany is one of the most favoured destinations in Western Europe because of its thriving economy, urban cities and fascinating culture. It has a total of 80.6 million inhabitants, making it the 16th largest country in the world when it comes to population. From the beginning of the Holocaust in 1933 to the controversial Cold War in 1945, it is for sure that Germany has a long history of grim and twisting past. Though not all wounds caused by those dark times have been healed, the country still managed to rise from the ashes and proved itself to be one of the most resilient and beautiful nations in Western Europe. Today, Germany is an epitome of a homeland where people, regardless of their culture or nationality, enjoy an excellent quality of life, high level of security and tonnes of exciting activities to do during their free time. German is the official national language of the country and is spoken by 95% of its population. Though there are locals who speak English, especially in the main cities such as Berlin and Munich, most Germans are not fluent in communicating using the universal language. Expats who are on their way to Germany are best to equip themselves even with the basic greetings using the country's mother tongue. Aside from its benefit with daily interaction with the locals, the Germans also sincerely appreciate foreigners who make an extra effort in learning their language. Wo ist der .. – Where is the..
Wieviel kostet das? – How much is this? Dining is one of the customs practised in all cultures where people share a common ground despite their cultural differences and language barrier. Germans love to eat and treat Frühstück (breakfast) as the most important meal of the day where they usually drink warm beverages such as coffee, cocoa or tea. They eat Brötchen (bread rolls) topped with various types of spread such as butter, honey or marmalade. Little zwischenmahlzeit (snacks) in between meals are also part of their tradition and is being practised even at schools. Students are served Pausenbrot, a sandwich to keep them from being hungry until mittagessen (lunch) which are usually between 12nn and 2 pm. In late afternoons, expats will find Germans gathered on cafés where they enjoy Kaffee und Kuchen (coffee and cake). Some of the favourite pastries are Bienenstich (bee sting cake), Schwarzwälderkirschtorte (black forest cake), Käsekuchen (cheesecake) and Zwetschenkuchen (plum tart). 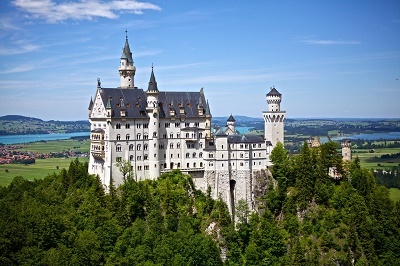 Regardless if an expat relocates to Germany alone or with their children, the inevitable truth is that they will not run out of things to do and sites to visit. The young and young at heart and will find themselves in the right place because the country is famed for its excellent beer and active nightlife where cities have their fair share of bars and clubs. Some of the best places to visit for a drink is Berlin’s home of Berghain, one of the world’s top nightclubs and several party districts. Those who are looking for a laidback or family-oriented activity can start their weekend by visiting the Tropical Islands Resort, a water theme park and beach located in Krausnick. Expats who love the outdoors will find the jaw-dropping beauty of the Bavarian Alps as the place to be for some skiing and hiking activities. And last but not the least is the Museum Island Berlin, a UNESCO World Heritage Site which serves as the home of the country’s five most famous historical and art museums.